4 Junior Engineer (Electrical), CPWD Diploma in Electrical or Mechanical Engineering from a recognised University or Institute. 5 Junior Engineer (Civil), Department of Posts Three years Diploma r equivalent in Civil Engineering from an institution recognized by the Central Government or State Government. 6 Junior Engineer (Civil), MES Degree in Civil Engineering from a recognised University OR I)Three years Diploma in Civil Engineering from a recognised Institute or University or Board; and (II) Two years experience in Planning, Execution and Maintenance of Civil Engineering works. 7 Junior Engineer (Electrical & Mechanical), MES Degree in Electrical or Mechanical Engineering from a recognised University; OR (I) Three years diploma in Electrical or Mechanical Engineering from a recognised Institute or University or Board; and (II) Two years experience in Planning, Execution and Maintenance of Electrical or Mechanical Engineering works. 8 Junior Engineer (Quantity Surveying & Contract), MES (i)3 years Diploma in Civil engineering from a recognised institute/University/Board or equivalent; OR (ii) Passed Intermediate examination in Building and Quantity Surveying Sub Divisional -II of the institute of Surveyors (India). 12 Junior Engineer (Civil), Border Roads Organisation, Ministry of Defence Degree in Civil Engineering from a recognized University/ Institute OR a)Three years Diploma in Civil engineering or equivalent from the recognised University or Institute. b)Two years working experience in the field of civil construction in monitoring and executive of projects. 13 Junior Engineer (Civil), Central Water Power Research Station. Diploma in Civil Engineering from a recognised University. 14 Junior Engineer (Electrical), Central Water Power Research Station Diploma in Electrical from a recognised University. 15 Junior Engineer (Mechanical), Central Water Power Research Station Diploma in Mechanical from a recognised University. 16 Junior Engineer(Mechanical) Dte of Quality Assurance Naval Degree in Mechanical Engineering from a recognized University; OR (a) Three years Diploma in Mechanical Engineering from a recognized University or Institution; and (b) Two years experience in the respective fields. 17 Junior Engineer (Electrical) Dte of Quality Assurance Naval Degree in Electrical Engineering from a recognized University; OR (a) Three years Diploma in Electrical Engineering from a recognized University or Institution; and(b) Two years experience in the respective fields. Age Relaxations: For SC/ST-5 Years; For OBC-3 Years, 10 Years for Persons with Disabilities. For More relaxations check official SSC JE 2019 Notification. Mode of Payment: BHIM UPI, SBI Challan/ Net Banking or by using Visa, Mastercard, Maestro, RuPay Credit or Debit card. 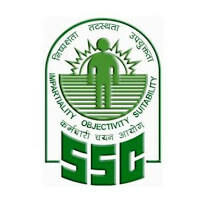 All interested and eligible candidates can apply SSC JE 2019 positions through online latest by 25 February 2019.